Swachh Bharat Mission could focus on using technological innovation to eradicate the problem of open defecation, says R Gopalakrishnan. To illustrate that innovation is possible even with a subject like open defecation (OD), I had earlier written two columns ‘Neat and clean’ innovation and A big opportunity for start-ups. The popular perception seems to be that OD occurs due to a lack of toilets. OD is much more complex. The Swachh Bharat Mission (SBM) encompasses issues of public health, sociology, psychology, innovation and technology, all rolled into one. 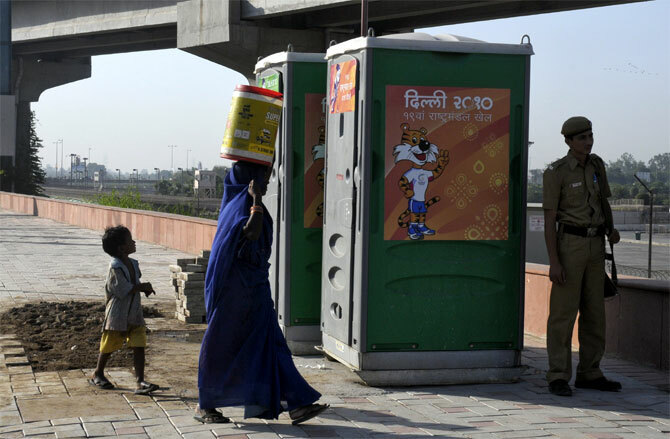 The major thrust of government policies seems to have been to provide toilets to people. Surveys by social institutions suggest that in addition to providing toilet facilities, a positive social and behavioural change is required to be brought about. Hence technology and innovation need to work with other disciplines of knowledge. This is sought to be achieved through the social and behavioural change communication elements of SBM. Bindeshwar Pathak, a true Gandhian, has demonstrated the value of grassroots work by setting up Sulabh, an outstanding institution in Delhi wholly devoted to social, technological and psychological vectors of sanitation. I was humbled and fascinated by the accomplishments of his institute, including a world toilet museum and multiple models of toilets; deep, practical insight from action and experimentation rather than mere talking. The visitor is exposed to low-cost ideas, ranging from single pit and double pit to open-to-air and biogas recovery; one can discuss innovation queries such as squatting versus sitting position, vacuum evacuation (as on planes) and pee-proof, hydrophobic painting of walls! Recently at a Delhi conference, Urban Development Minister M Venkaiah Naidu warned habitual and deliberate OD offenders. I was intrigued to learn that some people, guessed to be around 40 to 50 million out of 500 million, practise OD despite having access to toilets. It would seem they require “policing”, a bit like how traffic constables are needed at traffic lights or to ensure the use of crash helmets. But imagine how much manpower would be required, it would be impractical! I first spoke with Prof B S Das of Indian Institute of Technology-Kharagpur and separately with IIT-Bombay alumnus Ankit Mehta. They startled me with the possibility that low-cost drone technology could be deployed for policing persistent open defecators! I felt it was a very innovative idea, if done sensitively. Prof Das has prepared a proposal, “Monitoring Defecation Using Optical and Near-Infrared Reflectance Spectroscopy”. It essentially considers using “diffuse reflectance spectroscopy” of the soil to create spectral reflectance data of OD areas. Once a base data set is created, sample data can be captured monthly, and overlaid on a GIS platform or backbone. Comparing with a library of standard data can help determine where to focus. A low-cost drone could serve as the airborne platform. Further, this monitoring mechanism can also feed the integrated MIS reporting under the Ministry of Statistics and Programme Implementation, which is responsible for SBM effectiveness monitoring. Mehta is the co-founder and CEO of ideaForge, which, he told me, has the capability and expertise to deliver such low-cost drones. These can be used for communication as well as for hyperspectral data gathering. Thus, optimisation of the drone as a resource is possible. Drones could be deployed under the social and behavioural change framework of the government’s programme and used effectively in both individual and community communication initiatives. Drones could also become effective by their novelty factor. In order to take care of any privacy/shaming concerns, the drones can as well be fitted only with loud speakers and no photography payload and will need to have a GPS-based autonomous operation feature. Ancient wisdom teaches us that the human body is a combination of three “pipes”. First is the neuro-electrical wiring from the lower spine to the cranium; second is the air pipe from the nose through the lungs; and finally, the solids and liquids pipe from the mouth through the abdomen to the point of excretion. In a TED talk, Kerala social activist Joe Madiath wonders why mankind makes so much fuss about fine dining and cuisine, all of which ends up in exactly the same way. In the interests of getting things done, like with all complex subjects, unnecessary controversy is best avoided: for example, highlighting that OD was sanctioned by the 700 BC Baudhayana Sutras (Economist, July 19, 2014), which, anyway, is counterintuitive to the earlier and amazing Harappan toilet system. These were long before modern western-style sanitation, which started only two centuries ago with the French cabinet de toilet. Perhaps the prime minister’s Swachh Bharat point man can explore appropriate drones with Mehta and Das. R Gopalakrishnan is a writer and corporate advisor. Rs 3,902 crore cess collected. But how 'swachh' is our Bharat?